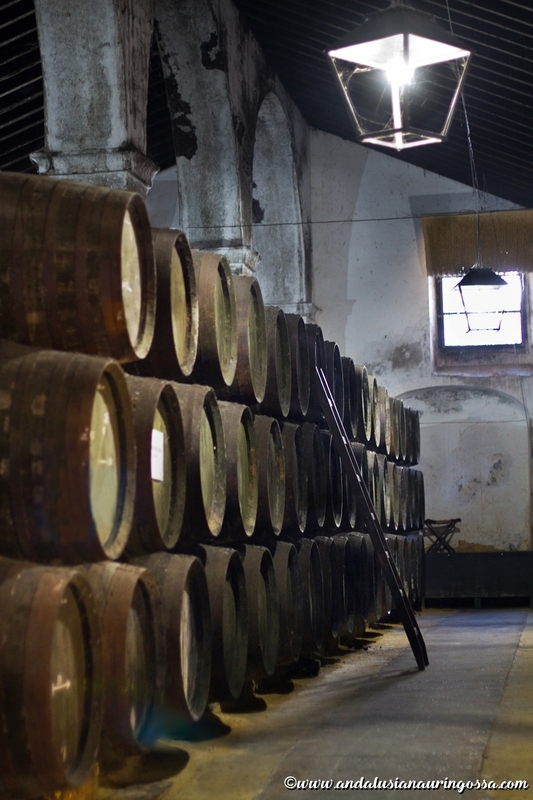 Bodegas La Cigarrera in Sanlúcar de Barrameda is the oldest sherry house still operating at its original premises. Every bit as charming as it is tiny! 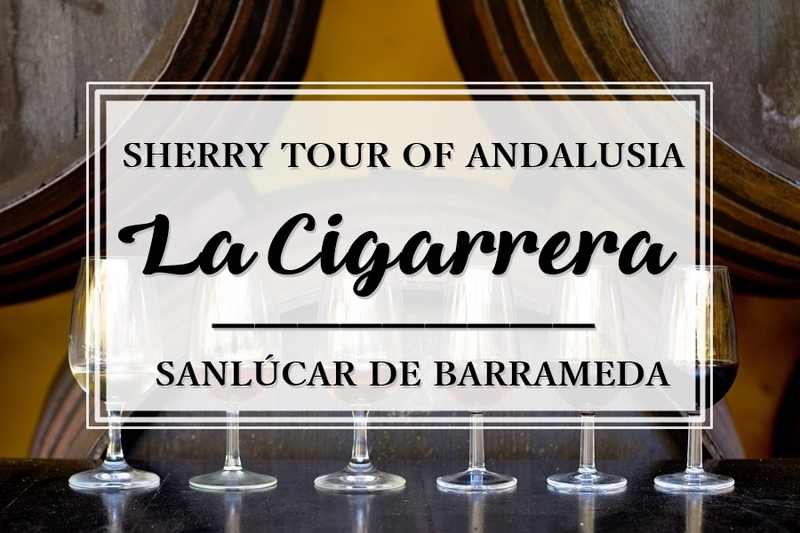 The final stop on our tour of Andalusian Sherry country is Sanlúcar de Barrameda, where you can visit some historic sherry bodegas. 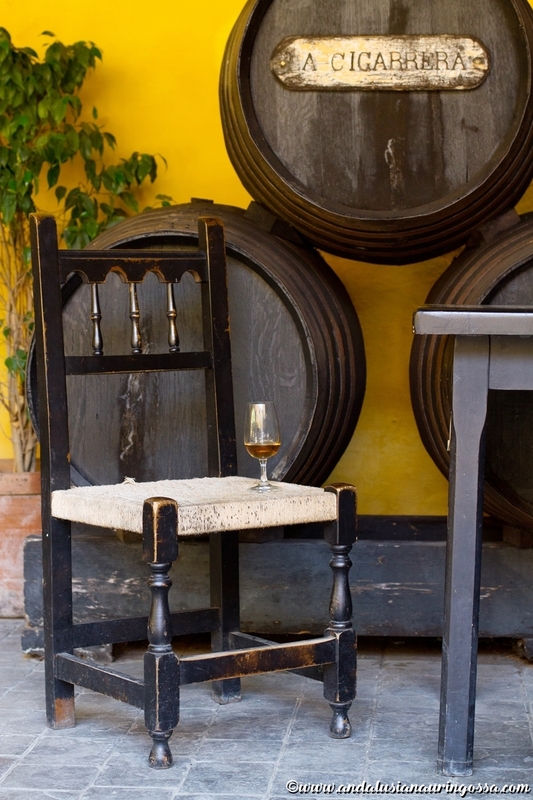 In addition to Delgado Zuleta, the oldest sherry house in Sherry country, Sanlúcar is also home to La Cigarrera, the oldest sherry house in Marco de Jerez still operating out of its original premises. 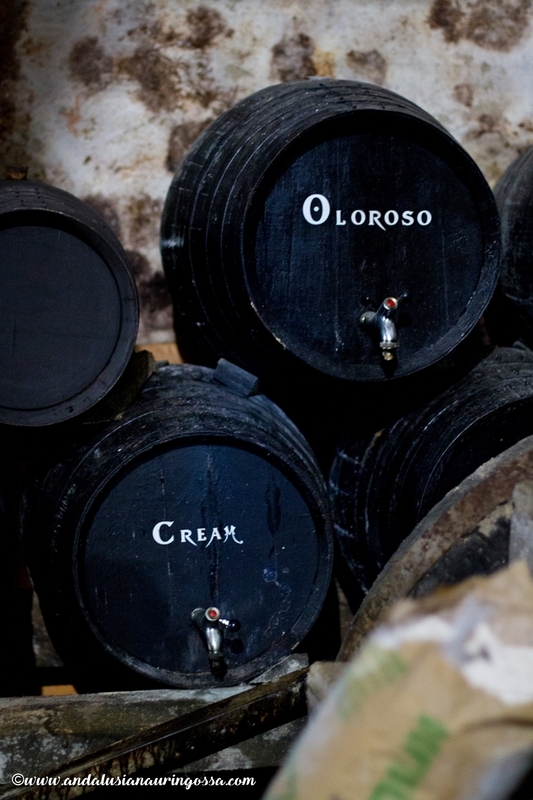 Just like Delgado Zuleta's La Goya, the name of this sherry house is a tribute to a local woman. 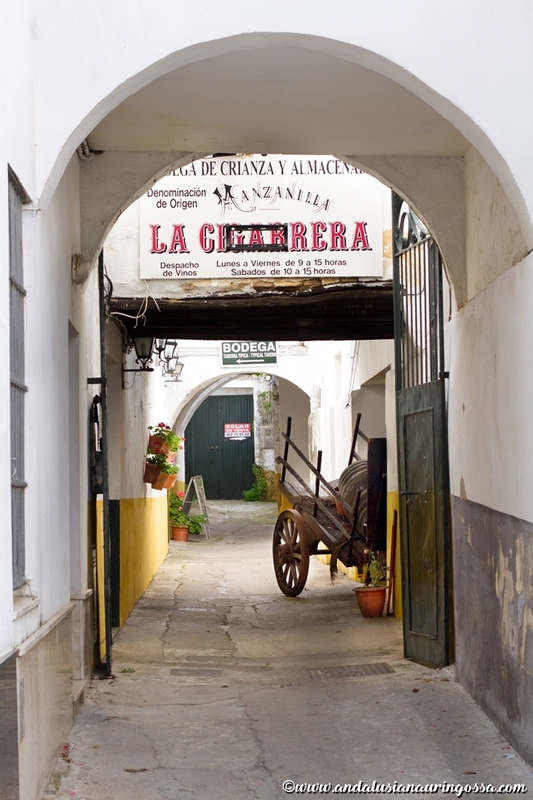 La Cigarrera was named after the cigarette vendors working on the streets of Cádiz. This tiny bodega is also one of the most charming ones. The use of the word "tiny" is not an understatement in this context: I could quite possibly fit all their barrels into my own home. All the hustle and bustle of the outside world, the stress caused by running from one bodega to another and the narrow streets of Sanlúcar's old town;basking in the glow of late spring's scorching sun are instantly forgotten the moment I enter the bodega, surrounded by thick walls. I let out a long-awaited breath of relief. This is my last bodega for the day - perhaps now I get to relax a bit, too? A Canadian couple taking part in the same tour of the bodega looks on as I - still armed with only two hands - try to balance my camera, six glasses of sherry, my notebook and my phone. "So... we take it you're here on business, then?" they ask, looking curious. Sweat running down my forehead I force a smile and continue my juggling act. ...at least for one who knows there's wine waiting somewhere down the line. 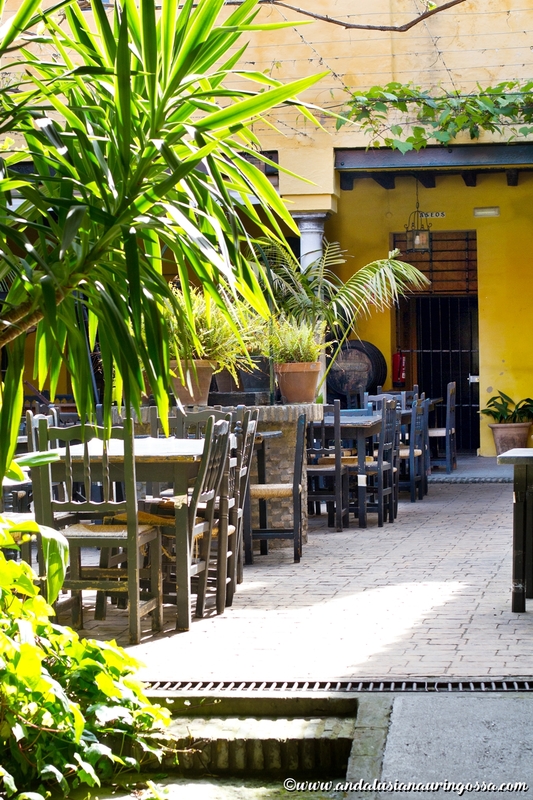 The traditional Andalusian patio houses a popular restaurant and especially in the summer the tables are full of people enjoying the taverna's feast, combining house wines with local culinary traditions. Its location smack on the Atlantic shore means Sanlúcar is famous not just for their Manzanilla, echoing ocean's briny breeze, but also seafood - especially langoustines. 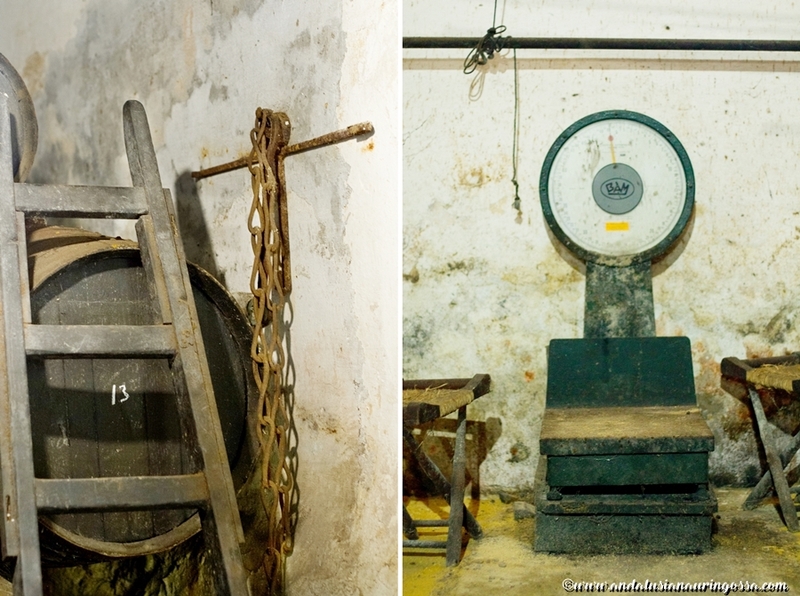 Much like the other sherryhouses we've visited on our journey, La Cigarrera boasts a long and impressive history. It was founded in 1758 by Don Joseph Colóm Darbóa, a merchant who had settled here from Barcelona. Today the bodega is in the hands of Ignacio Hidalgo, a 9th generation member of the family. He himself actually trained to be a lawyer, but took over the company after his father's death. "Our family's always worked in sherry", he tells. La Gitana sherry for instance is his cousin's operation. 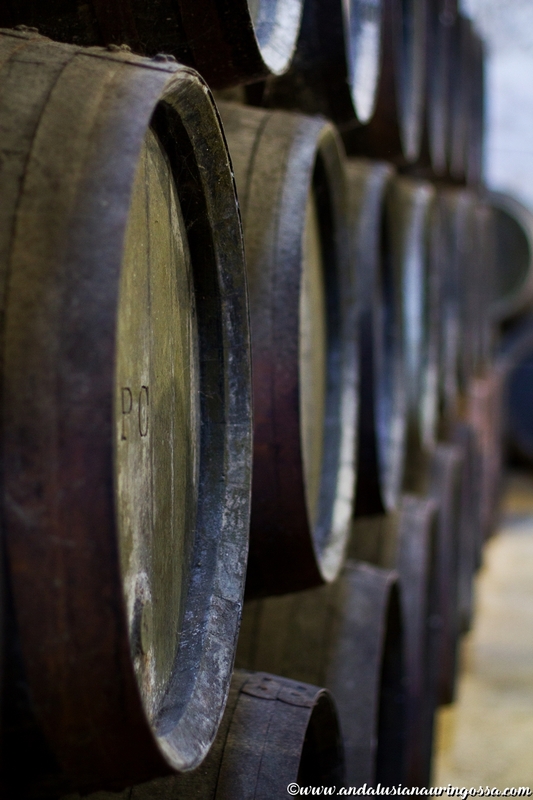 "Sherry houses are invariably either very big or very small - there's really nothing in between", Ignacio explains. His empire clearly belongs to the latter category. As he looks around his empire - clearly belonging to the latter category - he smiles. "Sure, this all has certain romantic air about it." 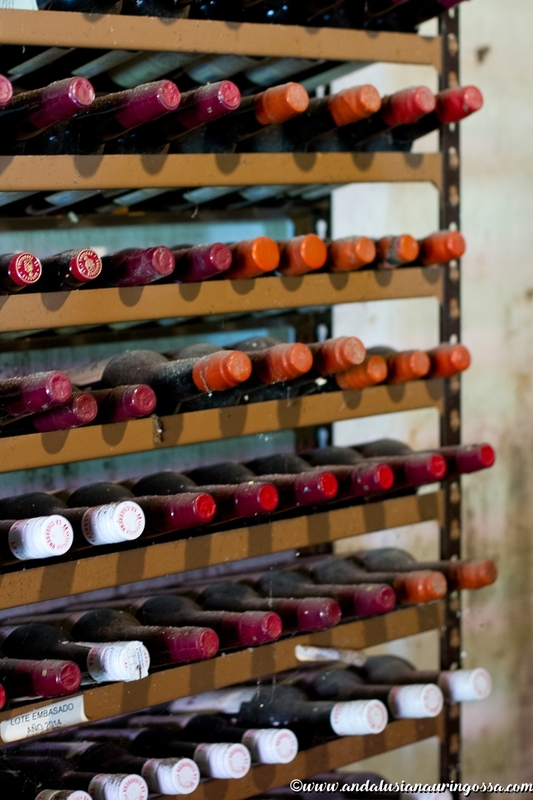 The bodega was opened to visitors 17 years ago. There are tours daily from Monday to Saturday and the admission (including a tasting of 3 sherries) is only a couple of euros. 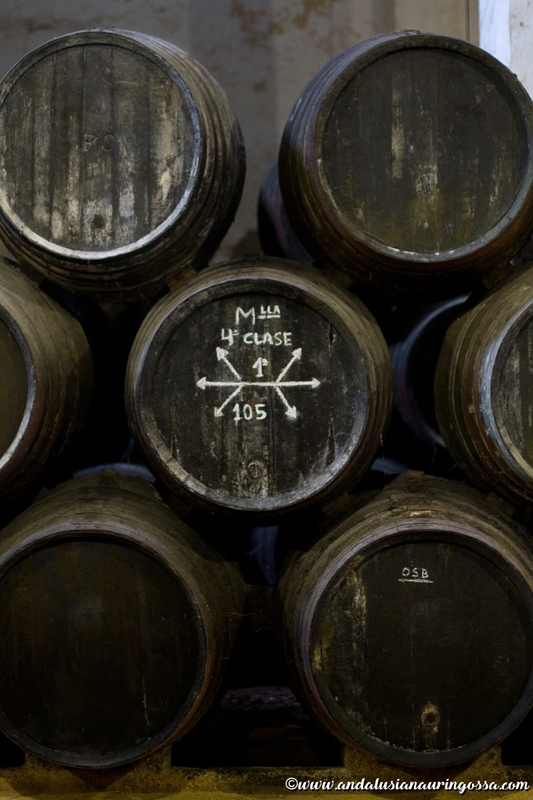 The old rules of Conceil Regulador, the body overseeing the sherry production in the area, used to set minimum requirements for the stock. As a result most of the small sherry houses acted primarily as almacenistas. Almacenista translates as a stockkeeper. 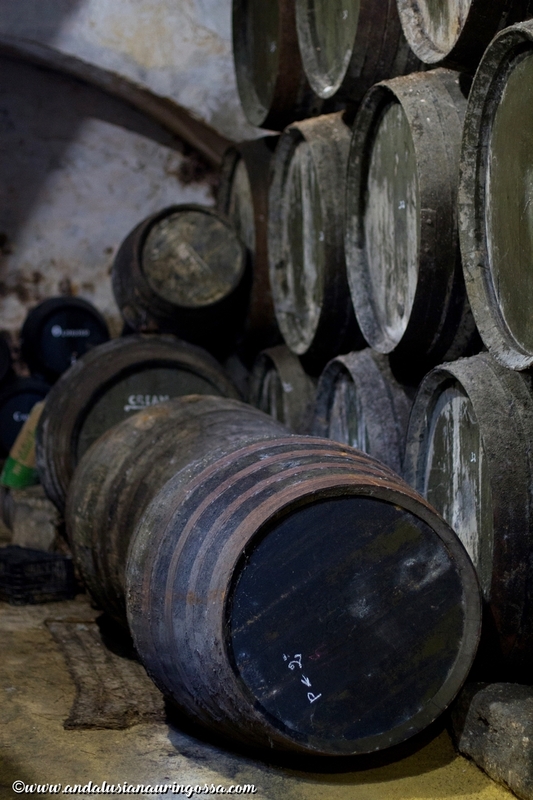 Traditionally they've specialized in aging and storing sherries which they then sold to larger shipping bodegas. 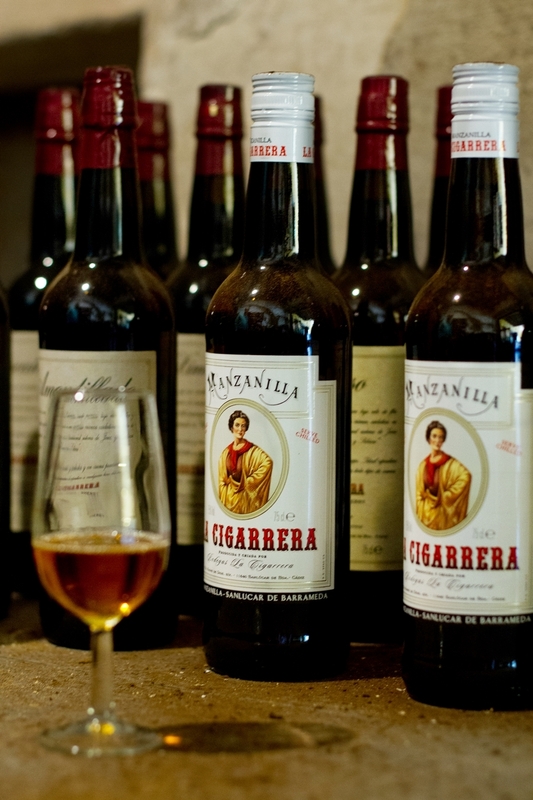 La Cigarrera started bottling their own produce in 1997. Previously they even owned their owned vineyards, but these days they source their sobretablas (that's the new batch of wine used to fill the first of the criaderas) from local farmers. 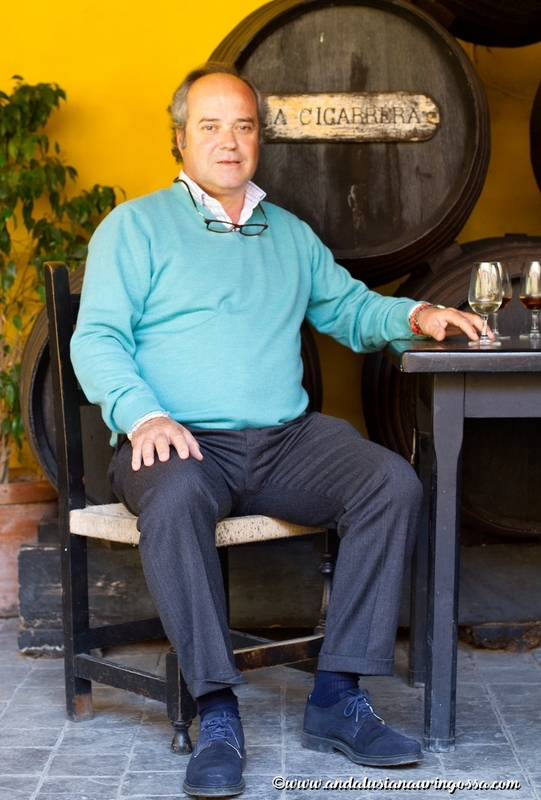 "It is easier for the big sherry houses to break into and stay in the Spanish market", Ignacio admits. "For majority of the customers it's the price that matters." According to him small houses have it easier on the international market. Export has taken off in the past decade and Ignacio believes its role will continue to be crucial in the future, too. Old habits die hard, though. "In wines at large the trend favours drier and dried wines, but for instance Holland, one of the biggest sherry export destinations, still hasn't learnt to drink anything other than sweet sherries", Ignacio point out. Ignacio himself prefers dry sherries such as Manzanilla, Fino and Palo Cortado - Manzanilla being the obvious favourite. 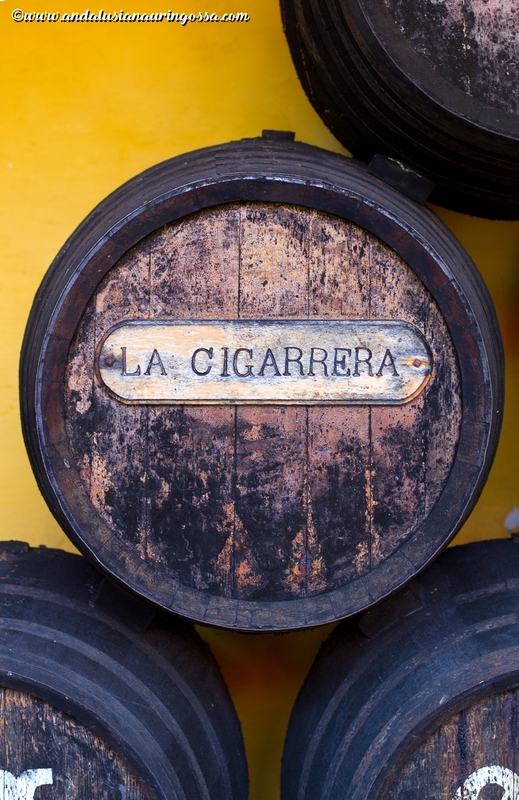 Manzanilla is the apple of La Cigarrera's eye and constitutes 70% of the bodega's production. 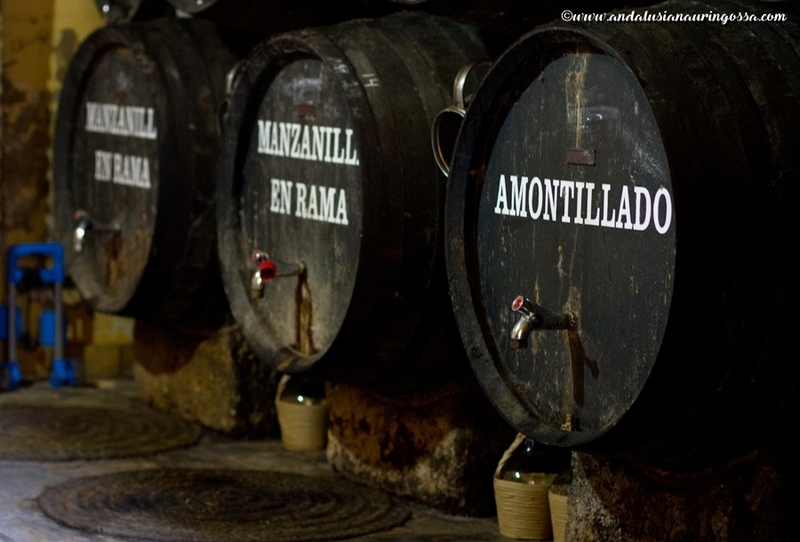 Most of it is sold to restaurants "en rama"; straight out of the barrels. This results in Manzanilla which (without any of the purification and clarification that is part of the bottling process) is very true to the way Manzanilla originally used to taste like a good 150 years ago. 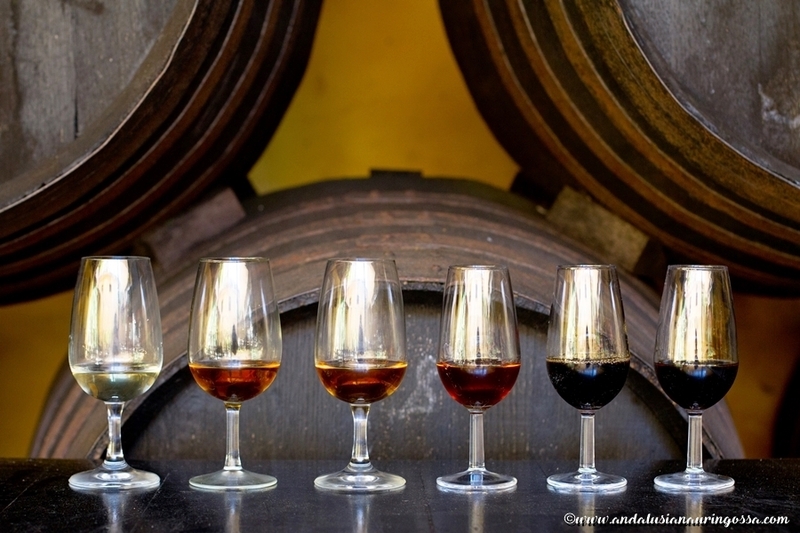 Though La Cigarreras sales have remained steady, growth in sherry's popularity is something they too would welcome. Ignacio puts his faith in the thirtysomethings. "Spanish teenagers won't deink sherry", he laughs. "Beer and gin - those are their preferred tipples!" Sherry's revival is something La Cigarrera is cautiously hopeful about. According to Ignacio part of this is down to the fact that Conceil Regulador has awoken to the need to invest in PR and marketing. The fería season which starts in Spaineach spring marks a boom in the domestic sales, but Ignacio remarks that in this, too, the big houses are the real winners: they can afford to sell big quantities even at a loss. If the bodega in itself is small, their Sacristia is downright adorably picturesque - I could probably fit in my bathroom. As the rest of our group retires to the shade in the patio to start their sherry tasting,Ignacio escorts me to the conforting coolness of the Sacristia. All the rush and stress have by now been wiped away. My finger carefully sweeps past a dust-covered row of old bottles. Excitement bubbles inside of me as I gaze around me, anticipating what's to come. Once more I realize just how privileged I am -not just anyone gets invited here. 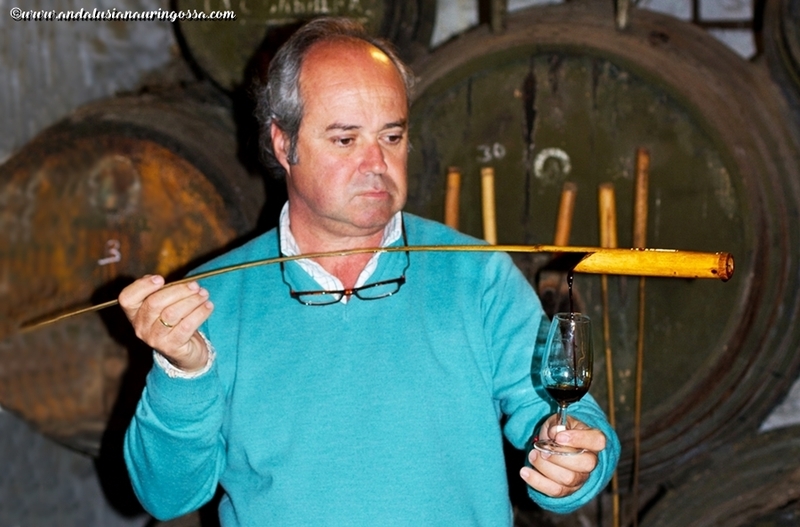 Inside the Sacristia Ignacio grabs a venencia;a tool traditionally used to measure and pour sherry and fills my glass. 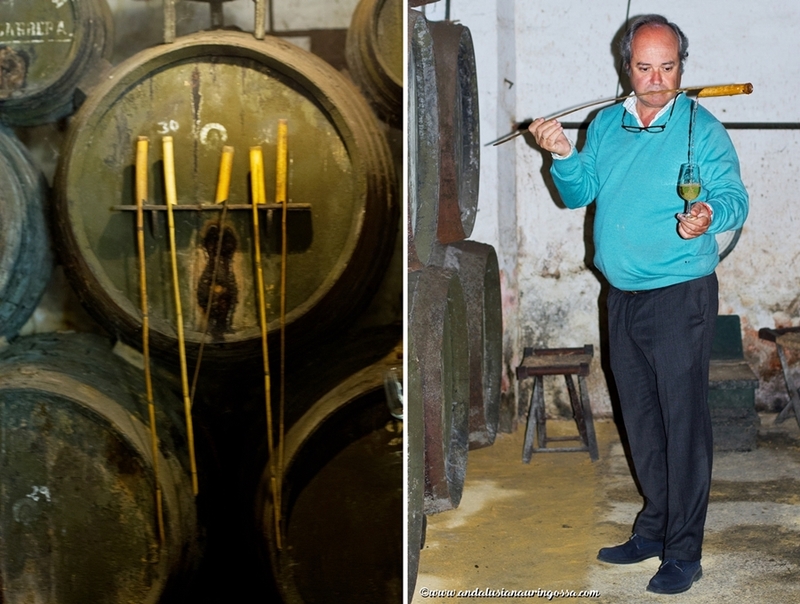 Sanlúcar marks a departure from the rest of the Sherry country in this respect, too: though everywhere else venencia is a metallic instrument, in Sanlúcar it's made using a simgle piece of bamboo. Ignacio's confident moves tell that he's performed the move hundreds of times but the twinkle in his eye before the schpiel reveals he knows it won't fail to impress audience this time either. "So, did you get it on camera?" he smiles mischievously. 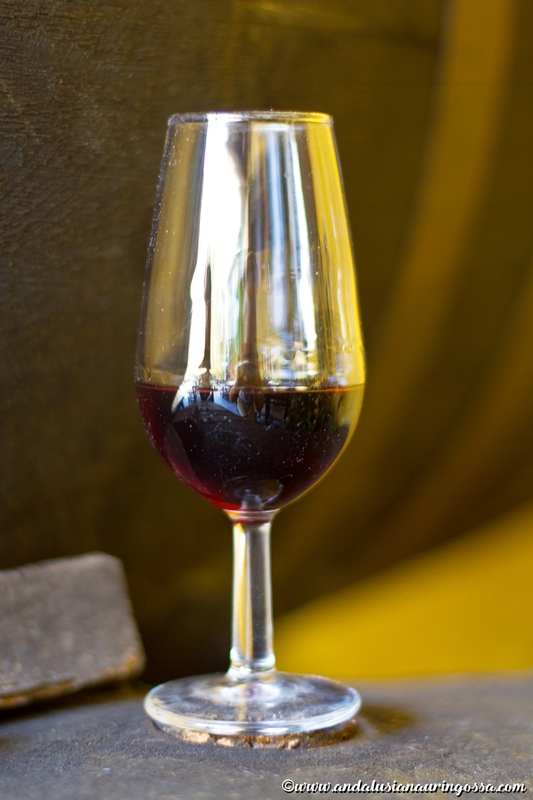 The schpiel is about much more than showmanship - venencia is said to have help release the aromas of the sherry prior to serving. The skill is the result of lengthy practice and there's a whole profrssion dedicated to it: venenciadores. They showcase their craft in events such as ferias and there are even international competitions for this odd art form. For some reason I'm not surprised to learn that this this craft has found a loyal following in Japan of all the countries. Crisp wine with oceany notes that immediately identify it as a Manzanilla. Very dry, yet not too aromatic. Toastiness, nuttiness, toffee-like quality. Surprisingly smooth, yet notes of that oceany saltiness are present in this one, too. Toastiness, raisins with that peculiar taste of Sanlúcar (delicate salty breeze). Whoah. What a wine! Orangee peel adds tangy sharpness that beautifully balances the sweetness. On the nose it is extremely concentrated and leads to a complex and long finish echoing dry berry woods, malt, fig and delicate toastiness. "Sweet, but not like sickly gross kind of sweet". As the last treat Ignacio scoops out a glass of something dark, thick and oh, so promising. His concentrated face looks even more focused and he won't miss a drop. I'm glad he won't, as this is a glass of 70+- year old Pedro Ximénez - not that I am even aware of it at this point. He hands me the glass as his intense gaze studies my reactions. My eyes are shot wide open. In disbelief I raise my gaze and meet Ignacio's quizzical face. "Increíble", is all I can whisper. "Incredible". Already the nose is intoxicating. Incredibly concentration features dry fruit such as raisin, along with toasty notes of caramel. Long finish lingers on, wrapping the whole palate in dreamily thick silk. The expression on Ignacio's face gives way to a broad smile as he slowly nods approvingly - clearly registering how moved I am. "Not many people have had the chance to taste that" he says. "You are quite lucky, you know?" La Cigarrera is the last bodega I visit in Andalusia. My head spins as I reflect on everything I've experenced and tasted. "For Manzanilla there's Sanlúcar, for Fino you have El Puerto and for Oloroso you go to Jerez!" Now I would loooove to hear from you guys! Which one did you like the best? Fine Fino? Magnificent Manzanilla? Awesome Oloroso? Or beautiful Pedro Ximénez? Taste of Helsinki 2017 - the countdown is on!